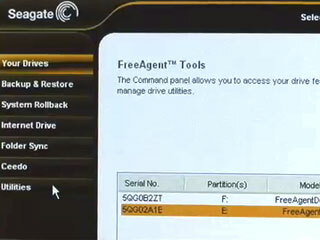 At CES in January, Seagate announced these new Free Agent hard drives but here we get another look at the drives now that they are shipping and you can buy them. Diana Cartwright, senior director of Seagate’s branded solutions group, and Jay Pechek demonstrate the drives for us along with the new software that comes preloaded. Seagate generously sponsors the ScobleShow (no one else pays to get on the show, which wouldn’t be possible without Seagate’s generous sponsorship) and this is content commissioned by Seagate.